On This Day: October 10, 2012: USADA release report describing Lance Armstrong as "serial cheat"
1871: Twelve teams agreed to inaugurate the FA Cup competition, suggested by Football Association secretary Charles Allcock. 1968: American Bob Beamon shattered the world long jump record to set a new mark of 8.90 metres. His record would stand for nearly 23 years. 2004: Warwickshire cricketer Graham Wagg was banned until January 2006 after failing a drugs test. 2005: Former Fulham and England star Johnny Haynes died aged 71. He was the first £100-a-week footballer. 2011: Wales rugby union centre Gavin Henson joined Cardiff Blues. His contract was terminated just six months later following a drunken incident on a flight. 2012: Chelsea defender John Terry decided not to appeal against a four-match ban and fine of £220,000 for racially abusing QPR defender Anton Ferdinand. 2013: Football Association board member Heather Rabbatts launched a fierce attack on chairman Greg Dyke's decision to name an all-white, all-male commission to improve the England team. Rabbatts, who was born in Jamaica and is of mixed race, wrote to all fellow board members criticising the lack of diversity on the commission and saying the FA was letting down black players. 2015: Scotland were knocked out of the Rugby World Cup with a 35-34 quarter-final defeat to Australia while Ireland were dumped out 43-20 by Argentina. 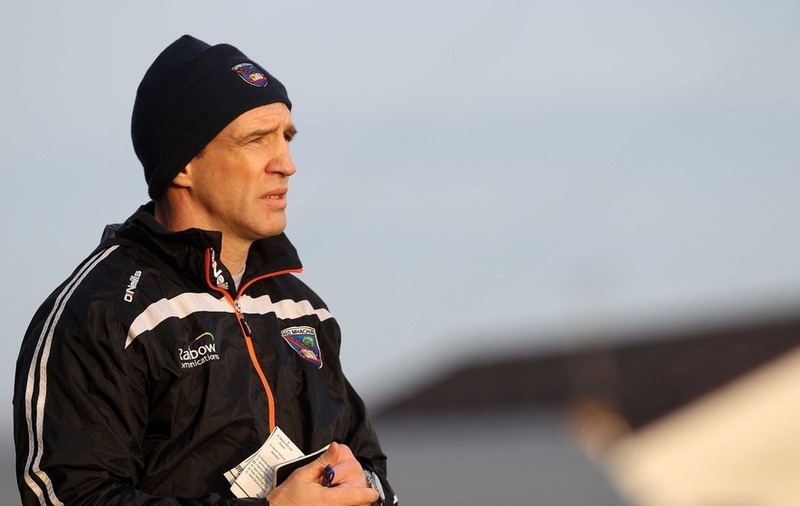 Kieran McGeeney (GAA): former player with and now manager of the Armagh senior footballers, born 1971. 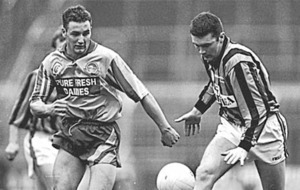 David O'Callaghan (GAA): former dual player with the Dublin footballers and hurlers, born 1983. Martina Navratilova (tennis) - nine-time winner of the women's singles at Wimbledon, and 18-time grand slam singles champion, born 1956. Thomas Hearns (boxing) - former world champion, born 1958. Gladstone Small (cricket) - Barbados-born former England and Warwickshire pace bowler, born 1961. Michael Stich (tennis) - 1991 men's singles champion at Wimbledon, born 1968. Stuart Law (cricket) - former Lancashire, Queensland and Australia batsman, born 1968. Robbie Savage (soccer) - former Leicester, Birmingham, Derby and Wales midfielder, now TV pundit, born 1974. Mike Tindall (rugby union) - former England captain and Gloucester centre, born 1978. Lindsey Vonn (skiing) - four-time overall World Cup champion and double Olympic gold medallist from the United States, born 1984. 1. Which football team plays their home matches at Gresty Road? 2. 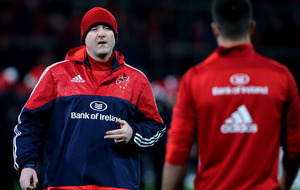 In which year did Micheal O Hehir provide his last TV commentary on an All-Ireland final? 3. Who won the men's singles title at the 2014 US Open, to win his first tennis grand slam? 4. 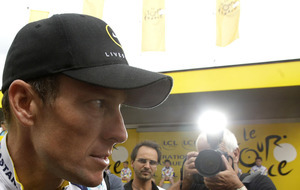 In which year was Jonathan Edwards named BBC Sports Personality of the Year? 5. 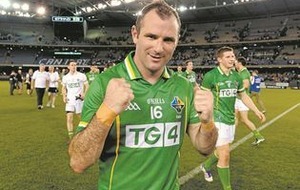 In which year did Liam Hayes captain Meath in the All-Ireland SFC final? 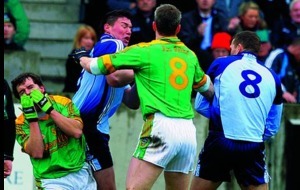 GAA: Classic GAA. Action from Dublin v Kerry in 1985 - eir Sport 1 1945. SOCCER: Champions League, Qarabag v Atletico Madrid - BT Sport 2 1645, eir Sport 1 1655, Bayern Munich v Celtic - BT Sport/ESPN 1900, Benfica v Manchester United - BT Sport 2 1900, Chelsea v Roma - eir Sport 1 1900. GOLF: PGA Tour, CJ Cup - Sky Sports Main Event, Sky Sports Golf 0300 (Thurs). CRICKET: Second One-day international, South Africa v Bangladesh - Sky Sports Cricket 0855, Sky Sports Main Event 0900. TENNIS: WTA, Kremlin Cup - BT Sport 1 0900 , BGL BNP Paribas Luxembourg Open - BT Sport 2 0900 and 1200. SNOOKER: English Open - Eurosport 1 1245 and 1845. BASEBALL: MLB, two post-season matches TBC - BT Sport/ESPN 2215 and 0100 (Thurs). BASKETBALL: NBA, Washington Wizards v Philadelphia 76ers and San Antonio Spurs v Minnesota Timberwolves - BT Sport 1 0000 (Thurs) and 0230 (Thurs). ICE HOCKEY: NHL, St Louis Blues v Chicago Blackhawks - eir Sport 1 0100 (Thurs). GAA: The Sunday Game Championshiup Draw 2018. Joanne Cantwell presents coverage of the draw alongside Ciaran Whelan, Cyril Farrell, Liam Sheedy and Pat Spillane. Clare MacNamara reports with Marty Morrissey presenting the draw itself. SOCCER: Europa League, Astana v Maccabi Tel-Aviv followed by BATE Borisov v Cologne and Atalanta v Apollon Limassol - BT Sport/ESPN 1600, 1800 and 2000, Red Star Belgrade v Arsenal followed by Everton v Lyon - BT Sport 2 1730 and 2000, Nice v Lazio followed by AC Milan v AEK Athens - eir Sport 1 1755 and 2000. RUGBY UNION: European Challenge Cup, Gloucester v Agen - Sky Sports Main Event, Sky Sports Action 1930. GOLF: PGA Tour, CJ Cup - Sky Sports Main Event 0600 and 0445 (Fri), Sky Sports Golf 0600 and 0300 (Fri); European Tour, Andalucia Masters - Sky Sports Main Event, Sky Sports Golf 1100 and 1430. MOTORCYCLING: MotoGP, Australia Grand Prix practice - BT Sport 2 from 0000 (Fri). CYCLING: European Track Championships - Eurosport 2 1830. TENNIS: WTA, Kremlin Cup - BT Sport 1 1000 and 1430, BGL BNP Paribas Luxembourg Open - BT Sport 2 1000 and BT Sport 1 1830. AMERICAN FOOTBALL: NFL, Oakland Raiders v Kansas City Chiefs - Sky Sports Main Event, Sky Sports Action 0030 (Fri). BASEBALL: MLB, post-season match TBC - BT Sport/ESPN 0100 (Fri). BASKETBALL: NBA, Los Angeles Lakers v Los Angeles Clippers - BT Sport 1 0330 (Fri). QUICK QUIZ answers: 1 Crewe; 2 1984; 3 Marin Cilic; 4 1995; 5 1991.